Fitness Connection Don Mills delivers state of the art equipment, knowledgeable and inspired staff and a variety of fitness programs to suit every member’s fitness goals. We pride ourselves on getting to know each of our members and providing a unique fitness experience. 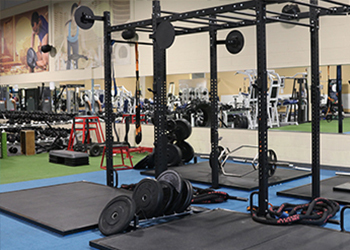 This location offers a spacious, two level studio providing you with innovative training programs, new indoor turf space and state of the art equipment. Developed by the industry’s best to provide you with an inspired workout. FAST = Functional, Athletic, Strength and Teamwork. Experience high-intensity, full body workouts that target the major muscle groups from the upper to lower body, specially designed to make you sweat. Learn more. 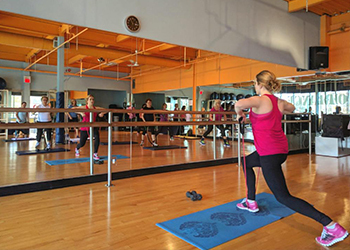 We offer a wide range of group fitness classes to help you with your fitness goals, including spin, body sculpting, core abs, kick boxing, barre and more. Fitness Connection has state of the art cardio equipment. 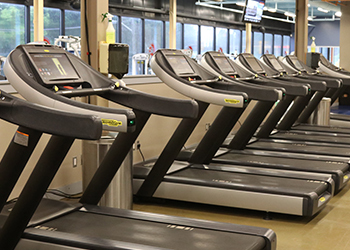 We recently upgraded to NEW Techno Gym treadmills, bikes and more. Our private studio is equipped with a Heavy bag and speed bag allowing for the best boxing experience, and core body work out. We offer a wide range of group fitness classes to help you with your fitness goals, including spin, body sculpting, core abs, kick boxing, barre and more. Click here for more info. “At Fitness Connection, we are committed to helping our members realize their potential. Whether that means losing post pregnancy weight, looking good for your next beach trip, running a marathon, or simply making everyday tasks easier, we are here to help! My goal is to make Fitness Connection the place of choice for health, fitness, and well-being in the Don Mills Community. I want our members to look at us as their home away from home and to be able to exercise not only without being judged, but rather encouraged.